1 Blemished Available: $67.46 This item is available as a Blem/Refurb. These are items that cannot be sold as "New" merchandise and are limited to stock on hand. See the product details for a description of the product's condition. 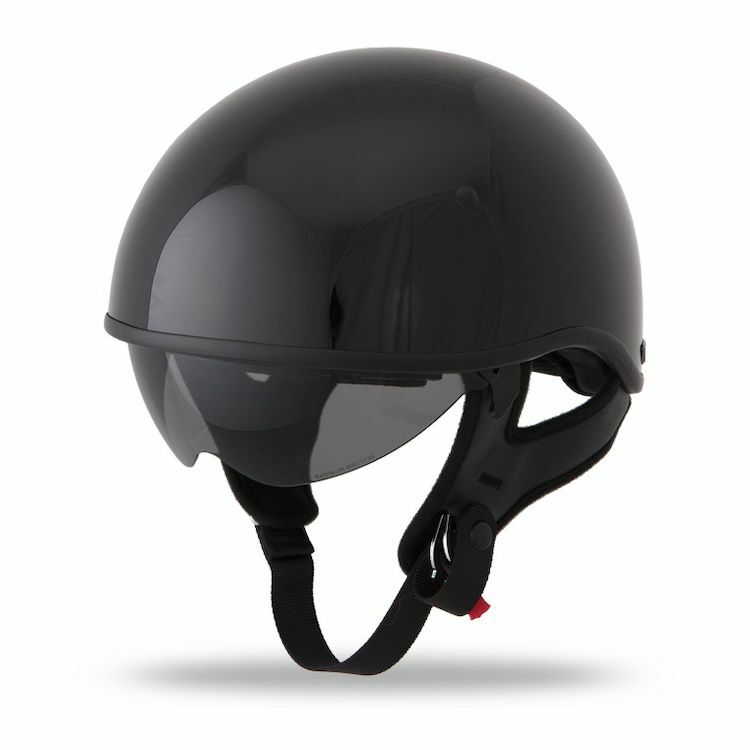 The Fly .357 half helmet features a small shell design, a retractable sun shield, and removable liner—all for a reasonable price. I like the viser that flips down. Looking for a comfortable, good looking half helmet that still offers as much protection as possible. the helmet specs say it long oval and yet several reviewers say it fits more round. Which is it? BEST ANSWER: the inner shape of the helmet is oval, not round. Is this a low profile? If so how low. Do you have any pics with on a head? BEST ANSWER: Attached are pictures of the Fly .357 Helmet in size MD on my 22.5 inch circumference head. Maybe the rest of us would benefit from seeing these pics, too. Photos of helmets on actual heads is what's missing from almost all manufacturer's promos - maybe they don't want us to see them...? how much does a fly . 357 half helmet weigh? BEST ANSWER: Idk. I'm really satisfied with the helmet . Great cool look, with the protection I was looking for. BEST ANSWER: ears are open.